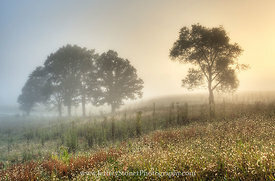 The fog filled the landscape on an early morning on Hyatt Lane in Cades Cove in the Great Smoky Mountains. What is around the bend? 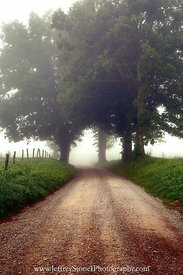 Hyatt Lane was originally an Indian path that became one of the main routes across the cove.